Our product range includes a wide range of ss 904l grade uns n08904 sheets, ss 304l grade uns s30403 sheets, ss 316 grade uns s31600 sheets, ss 316l grade uns s31600 sheets, ss 321 grade uns s32100 sheets and ss 309 grade uns s30900 sheets. SS 904L Grade UNS N08904 Sheets is a non-stabilized low carbon high alloy austenitic stainless steel. The addition of copper to SS 904L Grade UNS N08904 Sheets gives it greatly improved resistance to strong reducing acids, particularly sulphuric acid. SS 904L Grade UNS N08904 Sheets is also highly resistant to chloride attack – both pitting / crevice corrosion and stress corrosion cracking. SS 904L Grade UNS N08904 Sheets is non-magnetic in all conditions and has excellent weld ability and form ability. The austenitic structure also gives this grade excellent toughness, even down to cryogenic temperatures. We are a well recognized manufacturer and supplier of SS 304L Grade UNS S30403 Sheets. 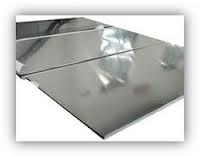 SS 304L Grade UNS S30403 Sheets is a lower carbon variant of Grade 304 (0.03% maximum carbon content) also it contains very low chromium nickel steel hence they are preferably used in welding purpose and in chemical industry because of their superior resistance to inter granular corrosion. Their combination of low yield strength and high elongation permits successful forming of complex shapes. 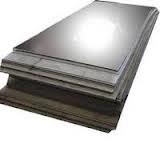 We stock SS 304L Grade UNS S30403 Sheets stainless steel and can globally supply this material to you to find out more or to receive competitive quotations please contact us. This grade of SS 316 Grade UNS S31600 Sheets is regarded as the second most popular form of steel in the arena of their industrial applications. SS 316 Grade UNS S31600 Sheets exhibit excellent heat resisting property with superior corrosion resistance when exposed to many types of chemical corrodes and also has a superior creep strength at elevated temperatures. We always promise to offer exceptionally good products as well as satisfactory service to our clients all over the world. In this regard we offer our clients SS 316L Grade UNS S31600 Sheets. SS 316L Grade UNS S31600 Sheets is a low carbon 316 which are frequently used to avoid possible sensitization corrosion in welded components. 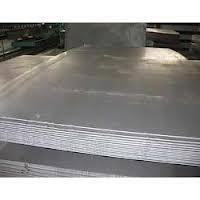 This SS 316L Grade UNS S31600 Sheets is widely used in heavy gauge welded components. SS 316L Grade UNS S31600 Sheets has an extensive variety of uses especially in the marine applications due to the material’s high corrosion resistance. Our SS 316L Grade UNS S31600 Sheets grade sheets are also supplied to various food processing environments since they can be readily cleaned, and resists organic chemicals, dye stuffs and a wide variety of inorganic chemicals. 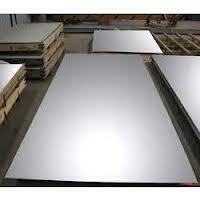 Customers can avail from us anti corrosive high quality SS 321 grade UNS S32100 sheets. SS 321 Grade UNS S32100 Sheets is a stabilized stainless steel that offers an advantage of excellent resistance to inter granular corrosion following the exposure to temperatures in the chromium carbide precipitation range from 800 to 1500°f (427 to 816°c). 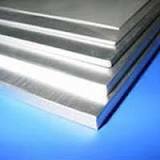 SS 321 Grade UNS S32100 Sheets alloy 321 stainless steel also offers higher creep and stress rupture properties and can result best even in high temperatures. We are into manufacturing a comprehensive range of SS 309 Grade UNS S30900 Sheets that are also offered in various specifications in range, type and form. SS 309 Grade UNS S30900 Sheets is an austenitic stainless steel that comprised of 22% to 24% chromium, 12% to 15% nickel, .2% carbon, 2% maximum manganese, traces of phosphorus, silicon, and sulphur with the balance being iron. SS 309 Grade UNS S30900 Sheets machines have superior strength and corrosion resistance. 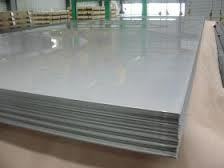 For past 4 years we are into AA business of fabricating and supplying HGH grade steel sheets to our clients worldwide, we offer SS 310 Grade UNS S31000 Sheets that are typically used for elevated temperature applications. 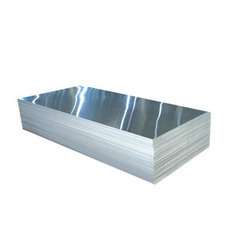 SS 310 Grade UNS S31000 Sheets is an austenitic heat resisting alloy with excellent resistance to oxidation under mildly cyclic conditions to 2100ºF. Its high chromium and nickel contents provide comparable corrosion resistance, superior resistance to oxidation and the retention of a larger fraction of room temperature strength. We are into the manufacturing of SS 310S Grade UNS S31008 Sheets with properties of good ductility and weld-ability. SS 310S Grade UNS S31008 Sheets also resists oxidation in continuous service at temperatures up to 1150°C. SS 310S Grade UNS S31008 Sheets is also used for intermittent service at temperatures up to 1040°C. Customers can avail from us in bulk, high quality SS 316ti Grade Sheet with Titanium content, which has good oxidation resistance in intermittent service to 870Centigrate and in continuous service to 925Centigrate. These SS 316ti Grade Sheets can be used for higher temperature applications and also has excellent toughness down to temperatures of liquefied gases and has application at these temperatures, although lower cost grades such as 304 are more usually selected for cryogenic vessels. This is a variant of the basic austenitic 18/8 Grade 304 with added Columbine. The SS 347 Grade UNS S34700 Sheets steel has an excellent forming and welding qualities and excellent toughness even at cryogenic temperatures.